Please note that WUWT cannot vouch for the accuracy of the data within this page, as all of the data is linked from third party sources and WUWT is simply an aggregator. Thank you for making this compilation available. Maybe the graph in the “CRU Information Sheet no. 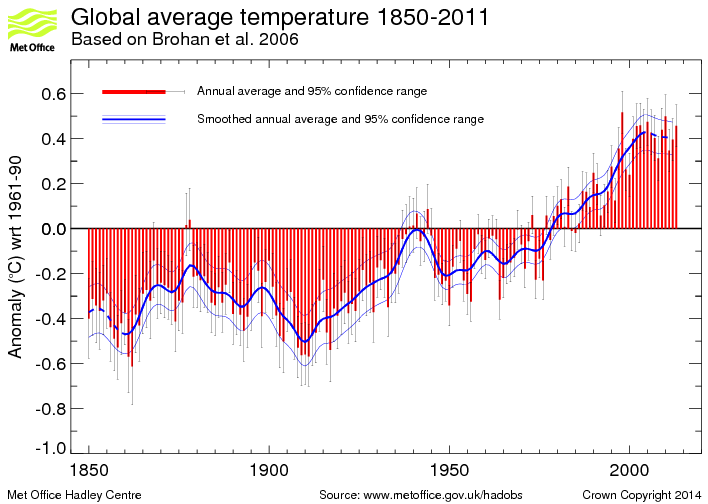 1: Global Temperature Record” (Dr. Phil Jones), at http://www.cru.uea.ac.uk/cru/info/warming/ should be included? The above gives a lot on nice information. I am a dabbler, not very knowledgeable, and I am usually only interested in the global results for a month or year(the numbers). The following URL’s are implicit or explicit above but some readers might find them helpful when gathered. These are the only ones I know of—please correct me if I have misinterpreted something or omitted some interdependent source. Well said – we are in total agreement. The big lie of CAGW is a global wealth redistribution scam. Rushikesh Hi there,it’s now 2016-would you like to revise your statement here ? (from 2012)? Jerry, Hi there, It’s now mid 2018, and Rushikesh can still stand by his assessment. I have learn some excellent stuff here. Certainly value bookmarking for revisiting. I surprise how so much attempt you put to create the sort of fantastic informative website. The disconnect between Temperatures and CO2 is now stunningly obvious! Please take a look at years 2014, 2015, and 2016, now that the data is out. Bruce, the disconnect still remains for previous datasets throughout earth’s history on CO2. However, Cosmic Ray Flux vs Temperature is still spot on. Thank you rdr200 for the links. 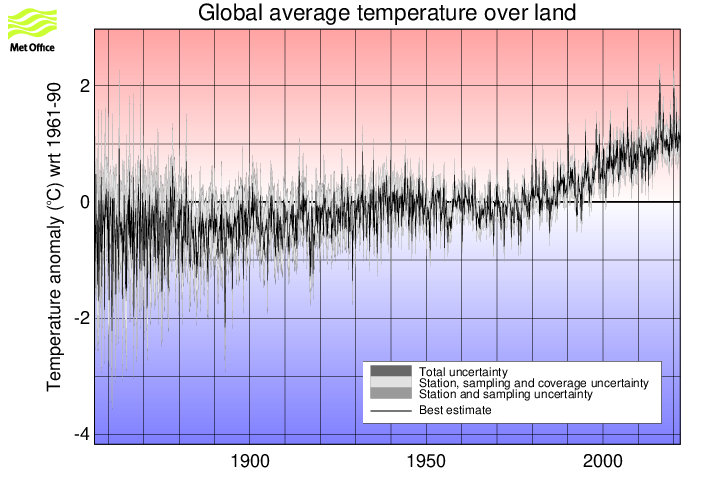 Everyone is so concerned with the anomalies that they forget to include the absolute temperatures, and you can’t create a mathematical climate model without knowing the absolute temperature! How about a chart for contiguous US temperatures, since that’s often in dispute? E.g., Bill McKibben recently claimed that 2012 would be the hottest temperature ever for the lower 48. Often in dispute? 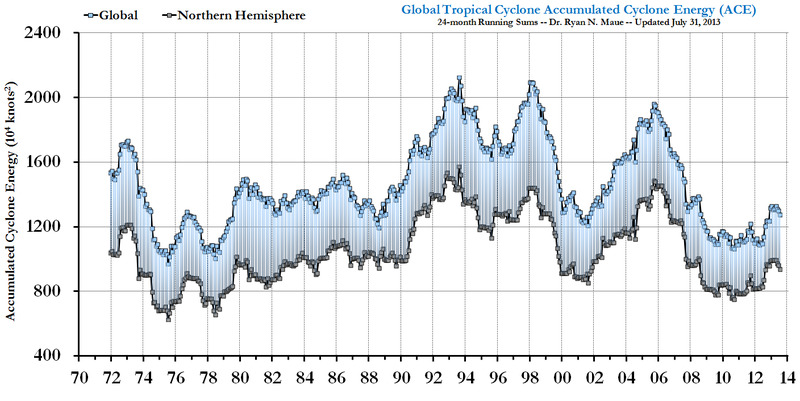 Tony Heller has eviscerated NOAA’s work for the contiguous USA. Strangely, ‘experts’ such as NS contend that he is wrong, but no one has gone to his blog and demonstrated that he is wrong. I particularly like TH’s using newspapers from the 20s, 30s and 40s to validate the raw NOAA data, then he demonstrates how those temperatures have been ‘adjusted’ down to give us the ‘warmest ever’ story. Thus I do not accept many of the graphs shown here to be valid. 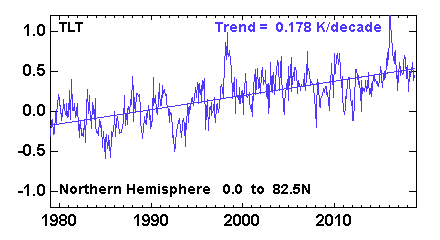 Certainly, any graph showing global temperatures before satellites is a fraud. There simply is no data behind those cartoons. 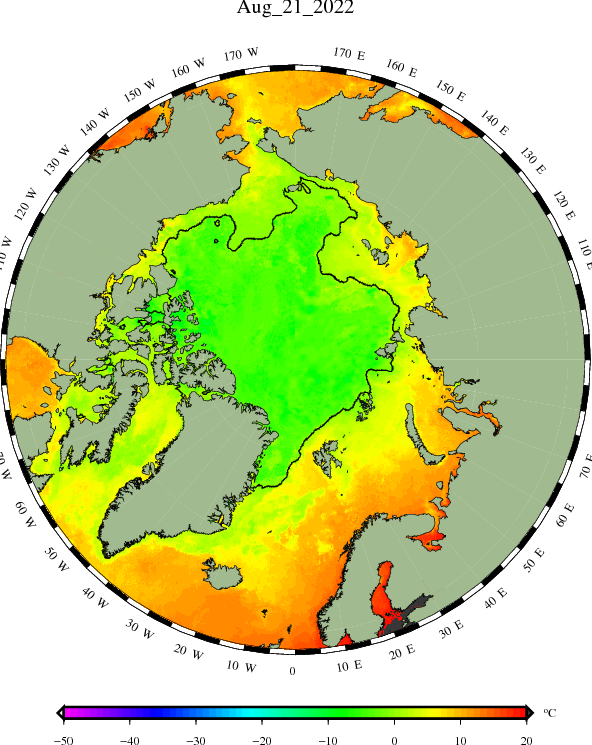 No one had the oceans monitored by thermometers, ditto much of Africa, South America, the Arctic, and the Antarctic. When they have no data for 85% of the world, how dare scientists call it ‘global’ anomalies! If there are any charts you’d like added to that page, please let us know. Lots of charts not showing any longer. Some outdated. Same for the sea ice page. That is in direct contradiction to plots from Hansen’s GISS, from the CRU of climategate (HadCRUT), and from the U.K. Met Office which has a level of bias and trustworthiness illustrated, for example, by what is discussed in http://wattsupwiththat.com/2013/06/14/12-reasons-why-the-met-office-is-alarmed/ . But those are all heavily *adjusted* data in contrast. 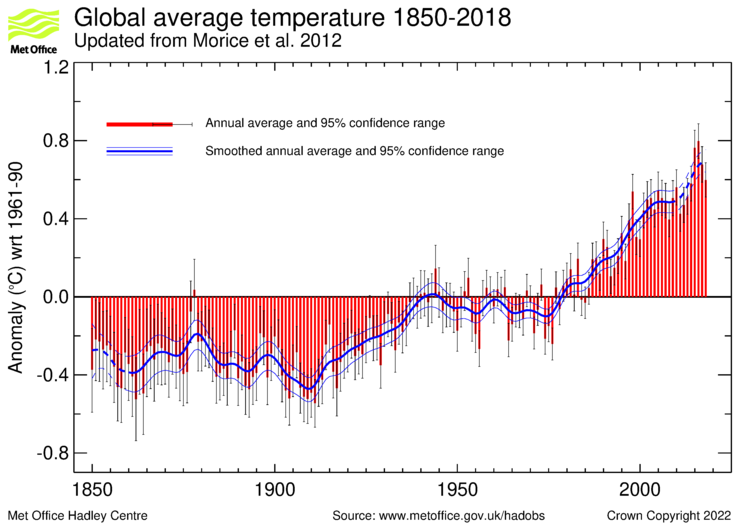 (Observe the total of three temperature plots here which extend as far back as 1940/before are two from the Met Office and one from the NOAA/NCDC; the rest are more recent decades alone). 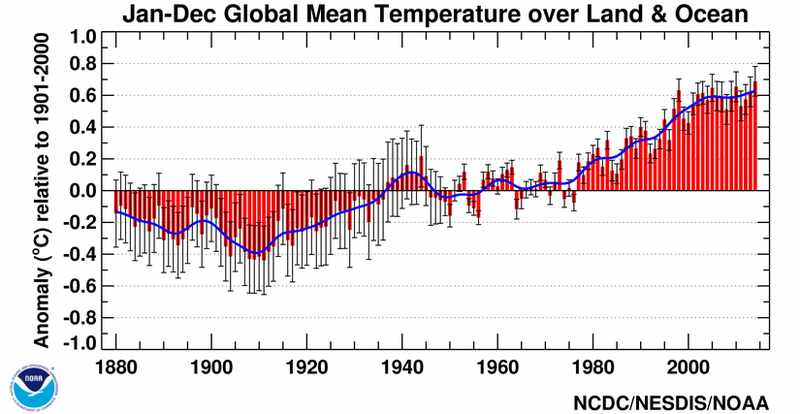 The “Annual Global Mean Temperature Anomaly Over Land & Sea – 1880 to Present” graphic is no longer available from the NCDC. 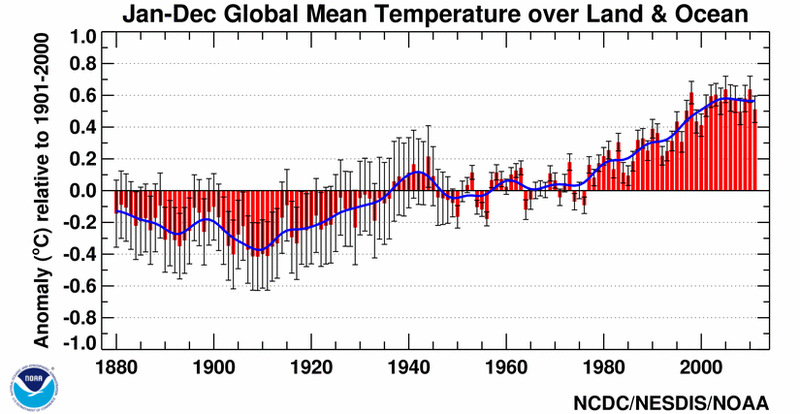 An equivalent graphic is at NCDC – Annual Global Land and Ocean Temperature Anomalies (1880-2013). With numerical data, but without the average line or error bars. My 10 year old daughter just read an article in National Geographic Kids about global warming. ‘The world is getting warmer, daddy! See?’ She wouldn’t believe me when I said it wasn’t. I told her that data is more important than written words, and showed her this page as an explanation. We discussed how temperatures had increased but were now flat, and so when the article made the usual claims about the hottest temperatures being all in the last 10 years, we agreed it could be true but it still didn’t mean the world was still getting warmer. She had no idea she could go online to see the actual numbers for herself, they don’t mention that sort of thing at school. I don’t know if you ever find time to read these comments Anthony, but thank you and all at WUWT for being there and doing the work you do. It changes people. Yeah, show her 2014, 2015, & 2016 Global surface temps. 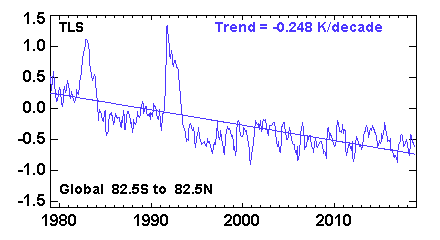 The whole story of hiding the cooling(decline) is right there.. official “scientific” propaganda. It still goes on. Thank you for your comment, it makes me think that it might be beneficial to craft some of our reference pages and articles to be more accessible to younger and less knowledgeable audiences. Any suggestions on how we might do so? I like this one Mark, thank you…. Can you give me the link? And who took the data? Is it the same one that is taking data of the oceans’ temperature in current days? I get that some scientists can approximate the temperature, but at this point? And why would a scientist be more credible than another one? Are there any references for UAH and RSS temperatures by daytime hours and by night time to see the difference? WUWT for Kids. I love that idea! I know we have some creative minds here, and most probably with children. How fun would that be for the family to browse kid friendly reference pages just for them. I suggest WUWT for kids needs to keep the data intact but have step by step explanations on how to read it …and what are the possible interpretations …..leaving the choice of interpretation to the reader …..this would be useful for non-experts such as myself too …. Note the plots on this page (from Climategate type sources) would imply the global cooling scare of the 1960s-1970s happened for negligible reason. Climate scientists of the time (a majority being honest academics before the later influx of enviropolitical alignments, money, and new activist individuals) are implicitly implied to be utter fools who couldn’t notice that temperatures (global, Northern Hemisphere, etc) were near-constantly rising overall with little downturn. Except that is not how reality works. Events don’t happen ex nihilo. One of the best applications of intelligence is to cross-connect info, to see how data of many types can form a consistent and plausible whole, rather than having unexamined glaring implausibilities left. 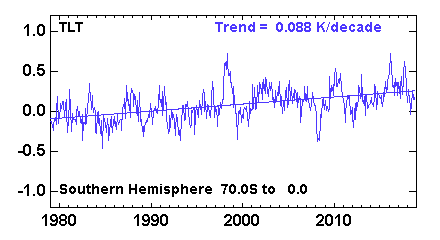 10 years is imho a rough minimum span to consider when quantifying the planets temperatures or climate state. With that in mind it looks like we have hit a (slowly rising) plateau of sorts which migh last for decades more assuming there is a ~30y oscillating trend of any magnitude. 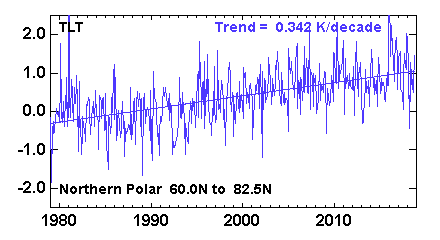 From al the above graphs it can be deducted that the climate has warmed somewhat, for whatever reason. The assumption that the lower side of the 30 year oscillation actually just makes the temps stay on somewhat the same level and the positive side of the trend is fairly fast warming fits the graphs well, we will see in a few decades whather that is to continue or not. The activity sugre of the sun in the last century is a good candidate for a very long trend, (spanning over the 30y trend) especially considering the vast mass of the planet – delays expected. CO2 is not a very likely prime forcer of the temperature but very likely does contribute to some level. In any case a warmer climate (or about status quo) is a necessity as any dip into a little ice age would cause very severe issues which I would like to see mentioned in the MSM even once. 1. Tax income needs to grow for a plethora of reasons. Big government and welfare state etc. 2. Lower the dependence to outside energy suppliers (trade deficit, unpredictability of the middle east). 3. The need to spur the research and with that the competitiveness of a nation / western civ.. linked to reason no 2 but also a standalone interest. It is a nice plan also because people will pay taxes more and more willingly if they are both scared and secondly think it results in greated good. Very well thought out and largely a lie, Some of the money goes to actual good use of course so there is a thin silver lining. MM says….3 main motives for CO2 demonisation. I would add No 4 ….UN Agenda 21 which should really be No 1. It all comes from there. Yeah, right. 97% of climate scientists are willing to fake the data for some reason. What is the agenda for the multiple 1% types with billions in foundation money who are behind the creation of agenda 21? What are their motivations? Is it world wide governance through an un-elected UN? World wide free trade control for maximum profit? De militarization for less warfare? Reduced nationalism to allow mass migration of peoples? Uniform law of the sea? Preservation of wild spaces worldwide? There are a number of fine goals to rally behind. I think the election of Trump has thrown a spanner in the grand plan. Between the 1% types owing the media and their buying of politicians, I doubt that Trump can succeed. The USA Constitution he supports is in reality an obstacle, a relic, a throwback to the idea of sovereign states.. and it would have been circumvented successfully if Hillary had won. Simplified climate data reference pages would be most welcome in newsrooms as well. Just like schoolkids, most journalists don’t know that it is possible and even to access temperature and other climate data. “WUWT for kids ‘n hacks”, yes please! Henry, that is an excellent link. Thanks for posting it. That link doesn’t work. Is there a newer one? 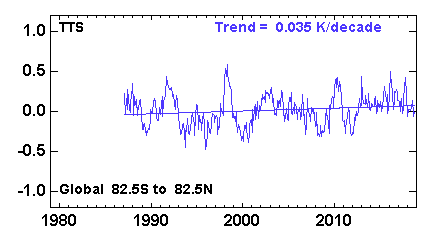 I’m confused, since about 2003 the global ocean temperatures have been pretty flat, maybe even a little negative. 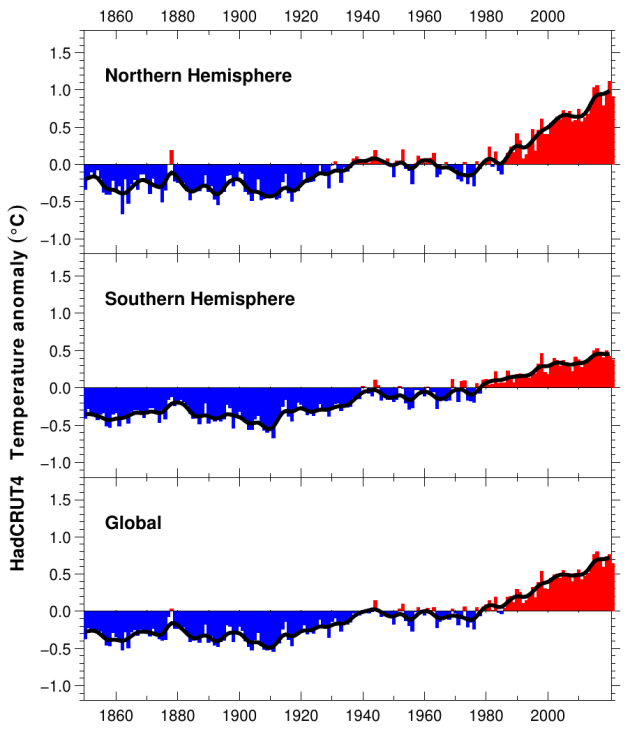 How is it then that the global ocean heat content graph is climbing so steep ? It seems counter intuitive. 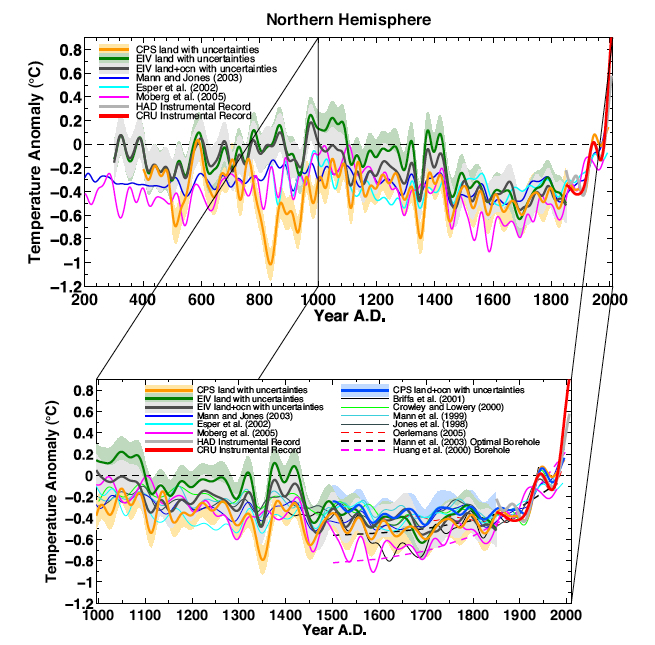 Why are we given global temperature graphs using anamolies instead of average temperatures as compiled from measuring station reported readings? Doesn’t the use of varying bases upon which to compute anamolies skew the results and prevent accurate comparison with earlier periods? 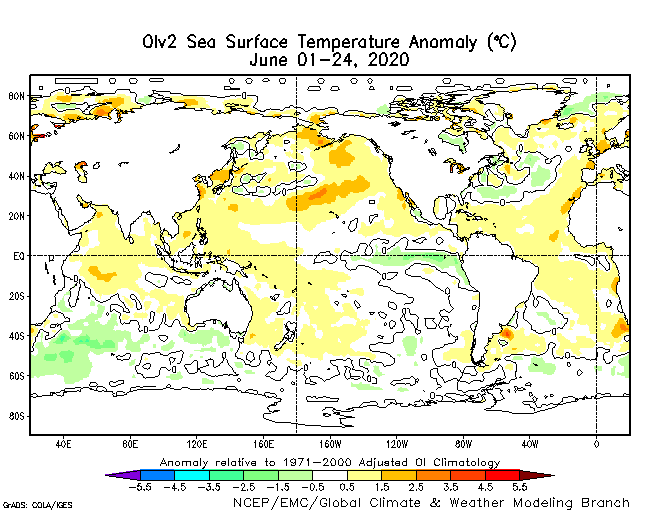 Website work needed: UAH Lower Atmosphere Temperature Anomalies show only through June, but the link has data through August. Updated through September, thank you. Some of the links on this page are not working. Perhaps a graph that shows the past GISS LOTI compared with the current GISS LOTI would be helpful? Nothing fancy. No animation. Just what they said before compared with what they say now for the same data? Something to make it easy to see that the “settled” science can’t even settle on what happened in the past. Why aren’t the graphs and data up to date. 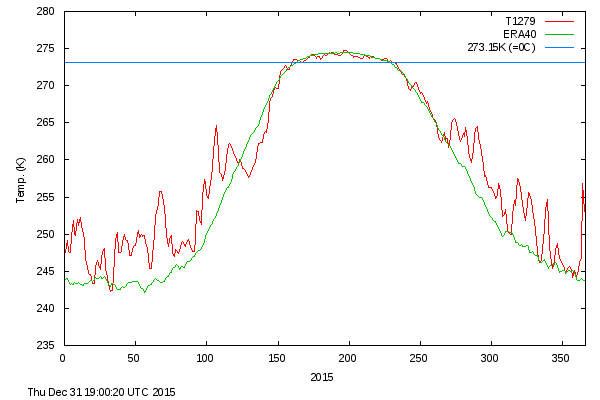 For example, the first temperature graph shows data only through January 2015? I’ve been busy, graphs updated. If you placed a coin on the footpath, to represent a CO2 molecule in the atmosphere. you would then need to place 2500 more non CO2 coins the same size, before you would need another CO2 molecule coin. and then another 2500 non CO2 coins, etc. and that is supposed to significantly affect global temperatures? The 2011 NCDC graphic at http://www.ncdc.noaa.gov/sotc/service/global/global-land-ocean-mntp-anom/201101-201112.png is outdated. I think water vapor makes the story even more interesting. 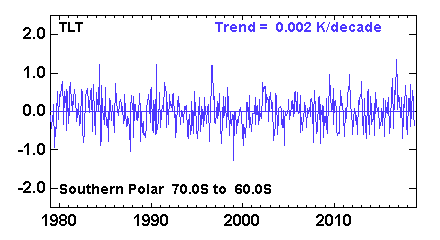 RSS Northern Polar Temperature Lower Troposphere (TLT) – 1979 to Present should be “Southern Polar” as in the graph, right? and we’re here in the 21st ctry. Do the NY folk still the easter parade, ever saw that in black/White. sentimental stuff holds the feet on the ground. Thanks to A . Watts, staff and Best 2016. How about a question? In the 1900’s, how many mercury thermometers were there actually available to track “global” temps? I can’t imagine how many far more accurate digital thermometers and satelite temp readings are available today than 100 years ago. Would most not agree that reading a glass, mercury filled thermometer from early 1900s as compared to a modern, NSIT traceable digital thermomoter, leave at least a reasonable amount of inaccuracy and variability? I don’t think that a .15 to .2 temperature discrepency or even expected margin of error would be overstated. Aside from the instrument question, weren’t temperatrue readings from even 50 years ago mainly ” at the airport” readings not center city Chicago or L.A.? Anybody else here notice that all the graphs show warming-just curious???? and Phil Jones noted during a 2010 BBC interview, “As for the two periods 1910-40 and 1975-1998 the warming rates are not statistically significantly different.” As such, the warming from 1910 – 1940, before Anthropogenic CO2 became potentially consequential, is “not statistically significantly different” from the warming during the period from 1975 – 1998. If CO2 is a potent greenhouse gas at current atmospheric concentrations, we should see significant acceleration in the warming that was already occurring naturally due to the rebound from the Little Ice Age. Warming is evidence of Earth’s temperature changing naturally, the lack of acceleration of this warming is evidence that CO2 is not a potent greenhouse gas at current atmospheric concentrations. You’ve produced a nice cherry picking of temperature proxies and timescaling. We do not know what caused the Little Ice Age. Solar activity,volcanic activity are both possible factors, but the data is very limited for this time period. Of course “decreased solar activity and increased volcanic activity” “cannot account for the global warming observed over the past 50-100 years.” However, increased solar activity and decreased volcanic activity certainly could be possible factors in the “global warming observed over the past 50-100 years”. I did not say recovering, I said rebounding. A sad statement fact given Skepticalscience.com’s inaccuracy. I provided the most reliable proxies for the time period, whereas you’ve produced an erroneous chart that splices disparate and incomparable data sets. As I noted above, during the periods “1910-40 and 1975-1998 the warming rates are not statistically significantly different.” even though Anthorpogenc CO2 emissions were not potentially consequential until after ~1950. What do you think caused the warming between 1910-40? But from 1910 to 1940 the Sun was warming, and the CO2 was not much changed. 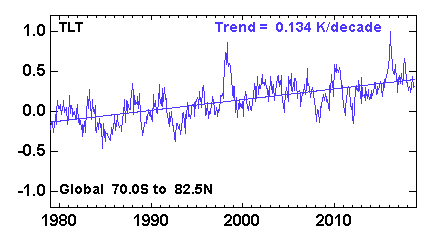 from 1975 to 1998 the Sun was not much changed, and the CO2 was increasing. Wandering magnetic poles control the weather. Do you believe that? Pull up this link on a desktop monitor, study the graphics, and initiate a discussion. The UHA temperature graphs have not updated here since September. They show a decisive downturn in temperature now 12/30. industries, as well as tax incentives and possible government subsidies of those clean energy resources, cleaner smarter energy have been around in reach of numerous quickly another several years. too take advantage of some BIG lucrative opportunities later on because they areas grow and develop on the coming years.